This week's food news features an unexpected chef departure, culinary benefits and an array of awards. Read more to find out what you missed. Foreign & Domestic’s highly acclaimed Indie Chefs Week is becoming a regular affair. The neighborhood eatery is introducing a new monthly series entitled Indie Chefs Table, a culinary experience that invites nationally acclaimed chefs from around the country to cook at Foreign & Domestic. The first name on the roster is Jason Vincent of Nightwood Restaurant in Chicago. Vincent was named a Food & Wine’s Best New Chef in 2013, and Nightwood is one of the recipients of the Michelin Guide’s Bib Gourmand Award. "We are really excited to launch Indie Chefs Table and could not be more pleased to have Jason Vincent as the first guest chef to participate in the series," Ned Elliott, chef/owner of Foreign & Domestic, says. "Our hope is that Indie Chefs Table will start a conversation and bring new culinary ideas and inspiration to Austin." The dinner, which takes place on April 21 at 6:30 pm, will open with a 45-minute discussion followed by seven separate courses prepared by both Vincent and Elliott. Tickets are $175 for a counter seat and $135 per table seat with gratuity included. To purchase a seat, please visit the Indie Chefs Week website. In case you haven't heard, Zagat Austin broke the news via Twitter that Kyle Mckinney, pastry chef of Barley Swine, has left his position at the restaurant. No word just yet on where the talented McKinney is set to plant his roots, but the Barley Swine reps revealed to Eater Austin that the chef is "taking some time off to travel a bit and then looking at some new projects for himself." Local food blogger and former Austin American-Statesman Food Critic Mike Sutter is conjuring up some national recognition from Saveur magazine. The publication has nominated Sutter's blog, Fed Man Walking, along with a host of other esteemed blogs, for the Best Food Blog Awards under the Best Culinary Travel Blog category. To check out all the nominees and vote for your favorites, see the Saveur website. Celebrate springtime at a gourmet picnic with fellow Austinines at the Wall erCreek Conservancy pop-up picnic. Acclaimed chefs from around Austin will gather in Palm Park on Saturday, April 12, to sell gourmand baskets for the Conservancy’s second-annual event. The dining event will raise money for the Waller Creek Conservancy, an Austin nonprofit working to preserve, redevelop and maintain Waller Creek. Baskets will be priced from $30 to $150. 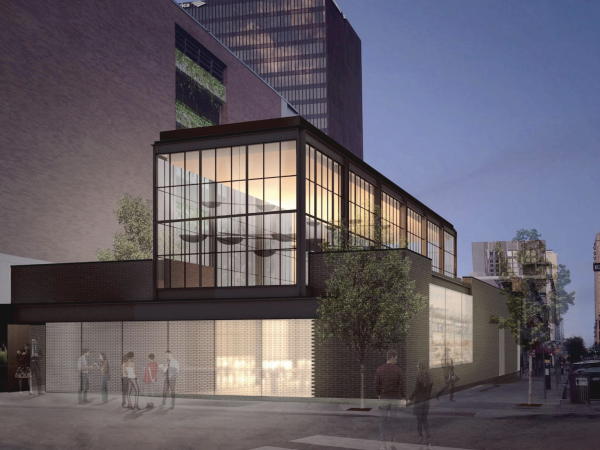 They will be created by such restaurants as Contigo, Elizabeth Street Café, Home Slice Pizza, Jeffrey’s, Justine’s, Lucy’s Fired Chicken, Salt Lick BBQ and La V. The yet-to-be-opened Launderette and St. Philip will also be in attendance. The baskets are on sale now at WallerCreekPicnic.org and can also be purchased the day of the picnic. Needless to say Game of Thrones fans are eagerly anticipating this Sunday's season premiere, and The North Door is responding more than accordingly. The live music venue, in partnership with BC Smoke Shop and Tribe Comics and Games, will show the entire Game of Thrones season 4 from start to finish on its 25-foot movie screen throughout April and June. What’s more, those who attend the festivities will have the opportunity to indulge in GOT-inspired cocktails and potions, such as the Tyrion's Dornish Sangria (made with red wine sangria, fresh oranges, apples and mixed berries) and the White Walker (prepared with vodka, Rumpleminz and white chocolate Irish crème). Those who come dressed in their best GOT get-up (think swords, crowns and dragons) will receive $2 drink specials. The North Door kitchen is also indulging in all the fun, preparing an assortment of tantalizing GOT pizzas. For more info, check out The North Door website. Calling all women of the culinary arts: The Les Dames d’Escoffier International chapter has begun accepting applications for the sixth annual LDEI Legacy Awards. The vast organization honors women working in culinary arts, beverage industries, hospitality arts and culinary journalism. For this year’s awards, six individuals will be recognized in five categories: culinary, pastry, wine, food/wine journalism and farm to table. Those who want apply need at least four years of professional experience and must be currently working in their respective industry. Applications for the LDEI Legacy Awards must be submitted by April 21. To apply, please visit www.ldei.org. Paggi House is using this month to give back to those in need. 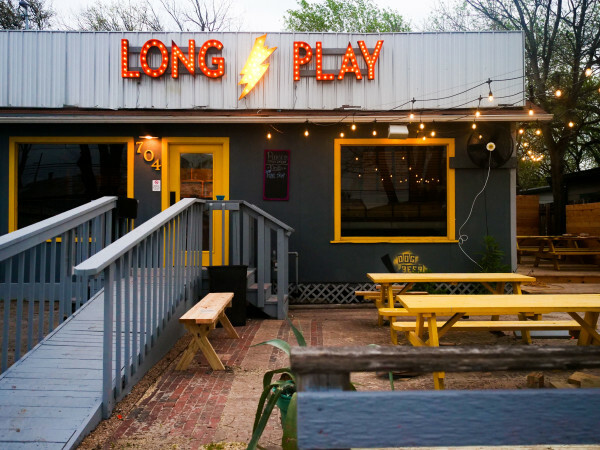 Throughout April, the restaurant will support A Glimmer of Hope Austin, a nonprofit that benefits disadvantaged youth throughout the city. 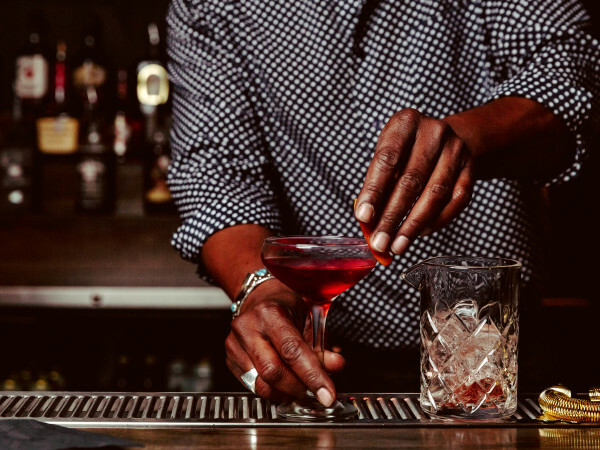 The restaurant has pledged that for every craft cocktail sold during April, one dollar will go towards sponsoring a child to attend Camp Glimmer 2014, a camp that provides scholarships to over 500 disadvantaged children and youth in Austin. "We are honored to work with Glimmer Austin and contribute to their efforts to give disadvantaged Austin youth a first-class summer camp experience," says Ruston Richardson, executive chef of Paggi House. "We are proud of our long-standing relationship with this impactful nonprofit and are excited to use our community presence for good." For more information on A Glimmer of Hope Austin, please visit their website.